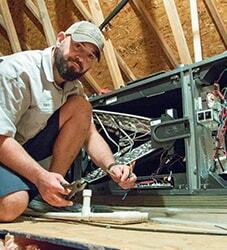 Essential Maintenance Services from Your Fredericksburg and Surrounding Areas Cooling Company | Robert B. Payne, Inc.
As summer quickly approaches, it is more important than ever to make sure your home is fully prepared. Part of this preparation includes a fully-functioning air conditioning system, one that will keep your home comfortable amid the stifling summer heat. 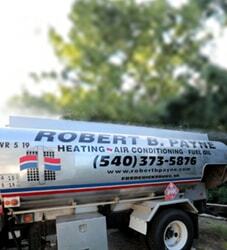 A regular maintenance inspection from the Fredericksburg, VA, air conditioning experts at Robert B. Payne, Inc. can make sure that your system is operating at peak performance across all levels, saving you time, money, and worry today. With air conditioning maintenance services from our heating and cooling experts at Robert B. Payne, Inc. you can be sure that your system will meet and exceed the manufacturer requirements for system maintenance. We also aim to make your system surpass all the recommendations provided from the Department of Energy, ensuring that your system is conserving the most energy possible and remaining as “green” as it can possibly be. Our thorough and concise tune-up and professional cleaning can give your system its life back, allowing your air conditioning unit to perform as good as new. Prompt maintenance services from our reputable and reliable air conditioning company can increase your system’s lifespan, sometimes even doubling it. This will save you the hassle and worry of a costly replacement down the line. Save yourself from a potential breakdown by signing up for our regular maintenance services today. 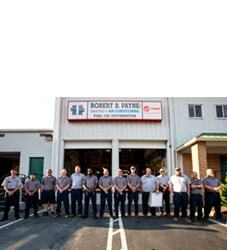 When you are in need of an air conditioning inspection before summer sets in, the professionals at Robert B. Payne, Inc are here to help. For additional information regarding air conditioning maintenance in Fredericksburg and the surrounding area, feel free to give us a call at (540) 373-5876 or contact us online today.